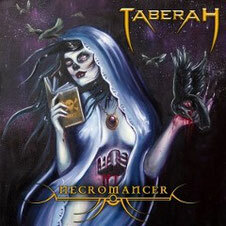 TABERAH, based in Tasmania Australia, will release their second album "Necromancer" on September 13th, 2013. TABERAH was created in 2004 by their strong musical bond of Jonathon Barwick and Tom Brockman. Their sound and live performance derive from a vast range of influences including the traditional heavy metal stylings of IRON MAIDEN + BLACK SABBATH, the rock n roll swagger of AC/DC + THIN LIZZY mixed with the over the top, tongue in cheek theatrics of QUEEN + THE DARKNESS. All with a slightly modern and original twist. TABERAH quickly became a staple act in the Tasmanian live music scene in 2006 and has now become one of Tasmania’s top exports around Australia in any musical genre. In early 2011 TABERAH blitzed a nationwide vote then were hand picked by Lemmy Kilmister himself to open for MOTORHEA on the Sydney leg of their 2011 Australian tour. Other milestones include sharing the stage all around Australia with high profile international and national acts such as: Paul Di’anno (ex-IRON MAIDEN), Tim ‘Ripper’ Owens (ex-JUDAS PRIEST, ICED EARTH, Yngwie Malmsteen, Blessed By A Broken Heart, LORD, PSYCROPTIC, BLACK MAJESTY, Steve Grimmett (formerly of GRIM　REAPER, LIONSHEART, ONSLAUGHT), ELM STREET, DARKER HALF and many more. 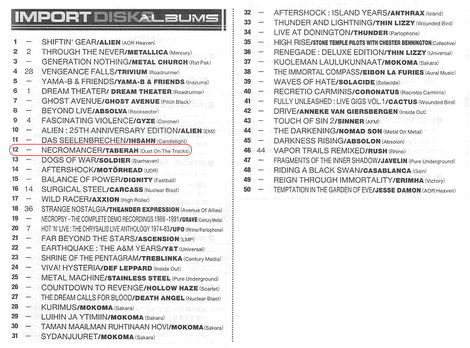 2011 saw the band record and release their debut album "The Light Of Which I Dream" with acclaimed Producer Joe Haley of Psycroptic, and the album earned TABERAH worldwide acclaim. 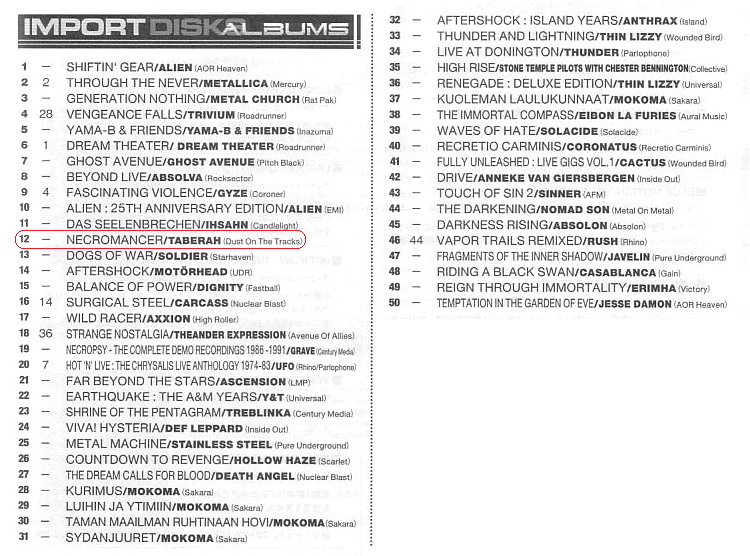 "Necromancer" was engineered by Theo B (SCORPION), produced and mixed by Joe Haley (PSYCROPTIC) and mastered by Australian metal icon Stu Marshall (DEATH DEALER, EMPIRES OF EDEN, DUNGEON, PAINDIVISION). The artwork was made by Hannah Flowers, who is a talented Tasmanian tattoo artist. 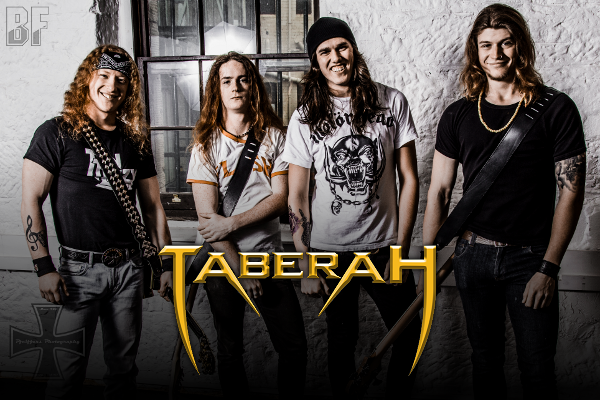 TABERAH has their sights firmly set on the international stage for 2013-14, including plans for a run of shows in the Europe, USA, Japan as well as high profile international/national supports in Australia.